Do you fancy Japanese and Asian cuisine? If yes, then The Asian Tuk Tuk is the ideal place to be at. 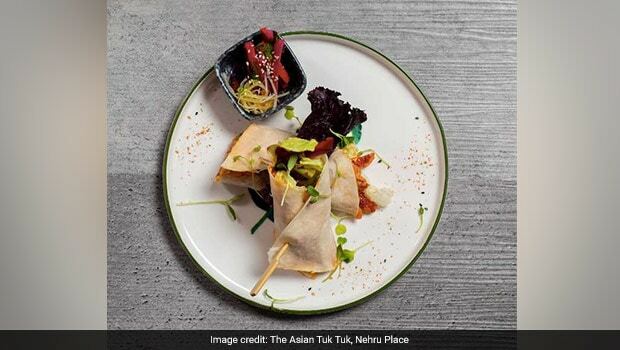 Located at the ground floor of Eros Corporate Tower in Nehru Place, The Asian Tuk Tuk is a dynamic space that is warm and welcoming. 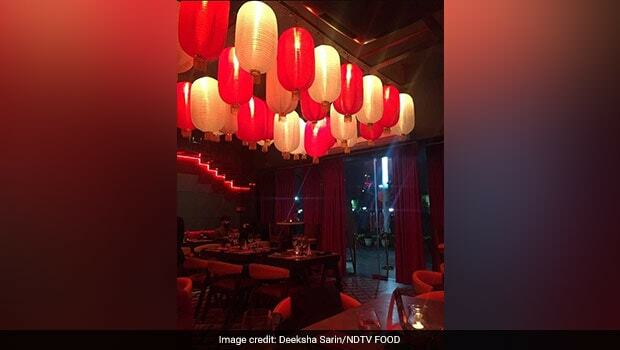 Decorated in hues of red, the restaurant transcends into a cosy and creative dimension that comes out to be as a treat to the eyes. The newly-opened restaurant although has bit of a space crunch, but it stays true to the deliciousness from the Far East with an interesting spread of dishes in the menu. The dishes here are made using fresh ingredients and every platter here has its own distinct fusion flavours. The comprehensive and appetising menu is a mix of savouries and sweets. While you have a plethora of interesting options to choose from, we have some recommendations for you. You could start your evening with Tom Yum Clear Soup - a delightful Thai soup with distinct hot and sour flavours, fragrant spices and herbs. This soup is sure to tantalise your taste buds and would make you crave for more. If you have a penchant for dim sums, then gorge on their Naked Cactus dim sum. 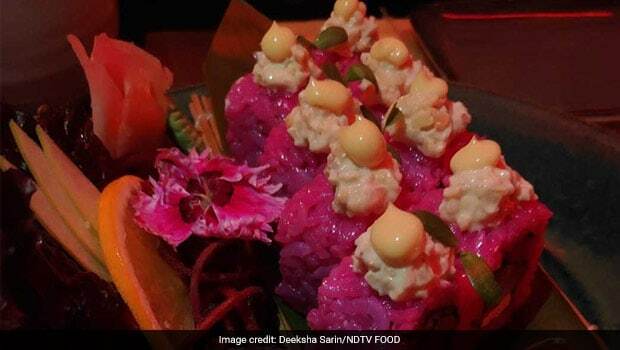 As intriguing as it may sound, the dim sums have steamed chicken balls, coated with beetroot-infused rice and are then drizzled with Sam-rod sauce. The crust was slightly crisp, which made the culinary experience quite enticing. If you're a vegetarian, you can go for Broc-As dim sum - an interesting mix of broccoli and asparagus in a dim sum with a hint of garlic in it. If you're up for everything garlicky, then this one's for you. Another stellar delight was the Oriental Shawarma. This one was a clear winner with shredded chicken tossed with chilli sauce, wrapped in corn tortilla, served with pickled vegetables. Oh, and this was quite filling as well. Veg lovers can try their hands at Kapi Cho Potato - potato finger chips tossed in basil soy sauce. However, the dish was a bit too sweet on the palate. Our highlight of the meal was Pink Sake sushi - salmon and cream cheese, dashed with apple and gherkin tarter - a complete treat to the taste buds. The Red Curry Chao Chao Cigar Rolls were quite delicious too. The crisp and long vegetable rolls were made with Thai curry-flavoured noodles. We also tried Tuk Tuk Chilli Chicken, which is also fondly called Green Chilli Chicken. The chilly chicken was prepared with green chillies, cilantro, capsicum and spring onion sauce. The taste was quite bitter and had an aftertaste, which had a very distinct and strong flavour. In the mains, we tried Kung Pao Chicken and paired it with Hakka Noodles. The stir-fried chicken tossed in Kung Pao sauce, bullet chilli and cashew nuts had a pleasant aftertaste with just the right spice quotient. What's a hearty meal without a good dose of desserts! We ended our meal with two unique desserts. Cantonese Jalebi - Fried wonton Julians, on a creamy rabri bed, topped with vanilla ice-cream and almond sprinkles; and Tuk Tuk Krob - deconstructed version with whipped cream foam, red ruby chestnuts, mango duet and crackling sugar. The later turned out to be our favourite! So, the next time you crave for some Asian fare, you know where to head to. 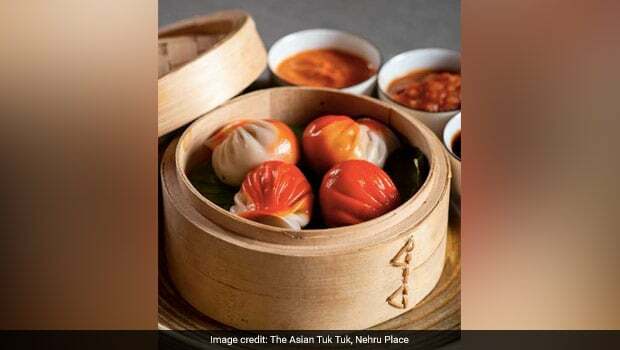 Top 5 Newest Restaurants In Delhi NCR To Check Out This Month!